This year, celebrate 15 years of Power Rangers Time Force with a true reunion as Kate Sheldon, known for her role as the villain Nadira, joins the core 6 Power Rangers Time Force actors as well as Vernon Wells, aka Ransik, as special guests at this year’s Official Power Morphicon. Check out the full list of new guests below! This year’s Official Power Morphicon takes place August 12th through the 14th in Pasadena, California. Don’t miss out on this once every two year convention! Click here and begin your registration process!! 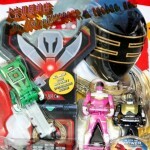 Power Rangers Super Megaforce Ranger Keys – Wild Force Key Pack B Gallery – Toku Toy Box Entry! It’s time for another Toku Toy Box Gallery Entry! This time we have a very special gallery to bring to all the fans of Power Rangers and specifically those collecting the Super Megaforce Ranger Keys! We have obtained a soon-to-be-released pack of the Power Rangers Wild Force Ranger Keys Pack B set, containing the (currently) unreleased Wild Force Yellow Ranger, Wild Force Lunar Wolf (Silver) Ranger, and a translucent Wild Force Black Ranger! We’ve taken 30 images of these new keys to share with you! We’ve even listed what the Legendary Morpher says when you use them! And we’ve included images of the codes on the Ranger Keys themselves so you can scan them in to your mobile app to help finish your collection! Do you plan to pick these up when they’re released? Are you bummed out about the Wild Force White Tiger Ranger not having an apparent release? 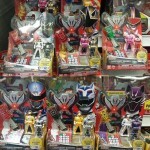 Do you want to win free Power Rangers toys for our Toku Toy Box? Then join in the discussion! Click here and discuss! A post in this thread will automatically qualify you for a chance to win our Charged Up Rangers Mega Prize Pack! Hey fans of Power Rangers! If you’re in to conventions, you need to make sure you head to this year’s official Power Rangers convention, Power Morphicon! Held this year at the Pasadena Convention Center on August 22nd through the 24th, it is the SUPER MEGA place to get your Ranger-on with the largest gathering of past and current Power Rangers actors, as well as actors from other American tokusatsu series like VR Troopers, Masked Rider, and Kamen Rider Dragon Knight! This year is going to blow all the other years out of the water with the announcement of the following Power Rangers! With those additions you will have a Power Ranger from almost every single season of Power Rangers! Even more awesome, with the addition of Monica May, fans of Power Rangers SPD will be super-excited to know that the entire core cast of SPD Power Rangers is now in attendance to appear! There are also a ton of behind-the-scenes guests, like writers, directors, and members of the stunt team. But the biggest announcement, without a doubt, is the return of Austin St. John who has been out of the fandom for a few years now. What a perfect time to get your S.H. Figuarts Red Mighty Morphin Power Ranger signed! Or in my case, a Power Rangers Super Legends Gold Zeo Ranger! If you haven’t yet registered, there’s still time to do so. 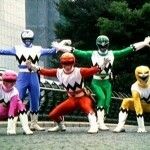 Just go to www.officialpowermorphicon.com and follow the links to get yourself registered. We hope to see you at the show! GO GO POWER RANGERS!